The Friends of the Heysen Trail is a volunteer organisation dedicated to the promotion and maintenance of the Heysen Trail. 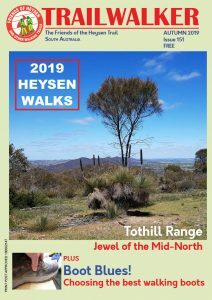 Th trail is maintained through a coordinated effort between volunteer individuals, walking clubs, the Government of South Australia and the Friends of the Heysen Trail. The Walking Trail Support Group maintains a network of trails through some national parks, some of which are shared by the Heysen Trail. The organisation depends on walkers for information and comments on the condition of and safety concerns along the trail. Send us reports on trail conditions via our Contact Form or by phoning us. Please include details of the location (including Map number and grid reference), the nature of the problem (ie bottom step of the stile is loose) and if possible any photos you have. 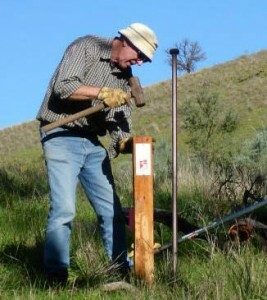 Our Office will forward the information to the Trail Development Coordinator for action. HT Sheet map 1A – 1B.